A few years back I made it to Palm Grove Bar and Grill on Savannah Bay. While I was there I purchased some of Nat's Hot Sauce. It was awesome. I bought 4 bottles and was seriously hooked. I have no idea when I will be back and I don't want to sound too forward, awkward or crazy, but if there is any way that you can pick up a couple of bottles, I would pay you for that and shipping. 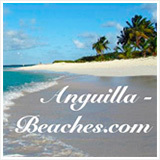 Or, if anyone else who is a subscriber to Anguilla-beaches would help me out, that would be incredible. it's worth a shot. And all will understand once they have a taste. If anyone has any suggestions... cwally2001@yahoo.com, I am open. Nori's Reply: When you love the hot sauce from Palm Grove as much as you do, it sure isn't crazy to try any way possible to get some bottles. Have you tried contacting Palm Grove? Their phone number is 264-497-4224 or e-mail ethne24@hotmail.com. 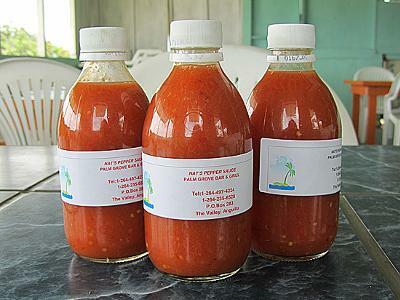 Nat tells me he has had several requests for his sauce which he packs and sends out. Nat showed me his bonnet pepper brine... the smell is just mouth watering for all those who love hot sauce. Palm Grove Bar and Grill, sitting on Junk's Hole beach is an original Anguilla beach bar. Nat serves fresh, just-off-the-boat, crayfish and lobster with tasty johnny cakes, fries, and slaw. He also has chicken and ribs and his rum punches are among the best in Anguilla. As for the hot pepper sauce... Wow! I have been in Anguilla twice in the past year, and of course, I intend to go back. One thing bothers me, and I did not find a straight answer yet... Tipping in Anguilla restaurants. 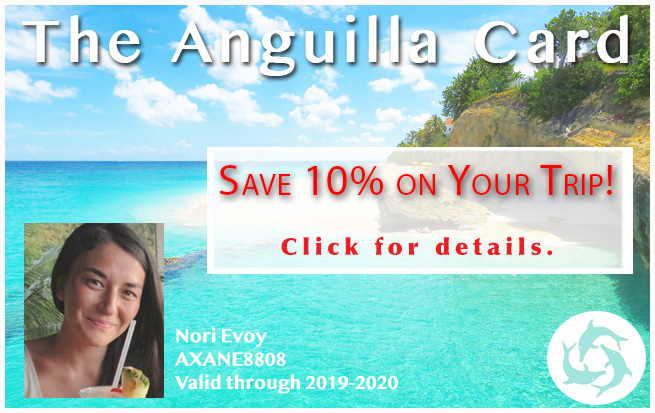 All Anguilla restaurants add a 15% "service charge". From my Canadian perspective, when restaurants add this charge unilaterally, it means that tipping is included and no other amount is expected from the customer. This is the assumption on which I paid my restaurant bills during both my trips to Anguilla. In April, we went to Mango's and they of course added the usual 15% "service charge". However, on the credit card receipt, someone wrote "TIPS NOT INCLUDED" bold and underlined. I felt really bad as I had not added any tips up to that point. Now I am a bit confused: does the 15% service charge include tips or is tipping expected on top of the 15%? If additional tipping is expected, what would be the suggested amount, another 15%? Many thanks. Your site has been very useful to us. Nori's Response: Pierre, thank you so much for asking this question! This is a problem all over the world, as my Dad says. What started as an optional 15% tip, became an obligatory 15% service charge, became now a sneaky way for restaurants to charge 15% more and suggesting you add extra tip. My Dad draws the line there! If the restaurants decides to add a 15% service charge, he counts that as a tip. If the service was exceptional, he may decide to leave a few extra percent, but otherwise it's up to the restaurant to pay their waiters, as he says. So, don't worry about leaving extra tips at Anguilla restaurants! 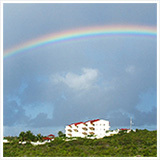 I love your Anguilla Blog! We are arriving to Anguilla late on Saturday, hoping to make the last ferry. 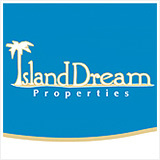 We are staying at Carimar Beach Resort, and I was wondering what are some good Meads Bay restaurants? I am concerned restaurants will be filled for Saturday night and we will have 3 travel weary children to feed - so something simple and easy to find that night would be great. Nori's Reply: Thank you, Jennifer! You are right to be concerned about restaurants being busy. 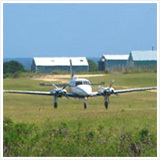 Depending on the time of year, it is well advised to make reservations for Anguilla restaurants ahead of time. The Winter season is the island's busiest, and you will need a reservation for most of the five-star Anguilla restaurants. 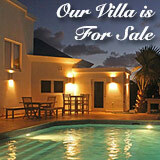 It is suggested to also make reservations if you are traveling to Anguilla in the summer/off-season. Most of the Meads Bay restaurants are five-stars... Viceroy Anguilla (at the far Western end of the beach) features a variety of high-end dining experiences, including sushi, Arabic food and Italian food. 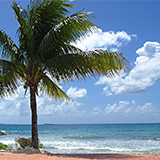 Jacala, Blanchard's and Straw Hat are also just a short walk from Carimar Beach Club. 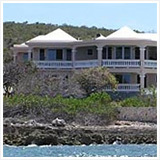 Straw Hat is one of my favorite restaurants in Anguilla for service, food, and ambiance. It is a can't miss! Blanchards has a classic Caribbean charm, and Jacala serves some of the most delicious French food. Considering that you will have 3 tired children on your hands after a long day of traveling, perhaps the best option is to eat-in! You are definitely in luck arriving on a Saturday. Saturday is BBQ night at B&D's BBQ in Meads Bay. B&D's BBQ is one of our favorite cheap Anguilla restaurants. 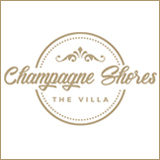 It is located more inland, just a 3 minute drive from Carimar past Malliouhana (be sure to ask reception for directions if you aren't sure where you are going). They serve BBQ ribs, chicken, fries, cole slaw and Johnny Cake, all for an extremely reasonable price. We recommend the ribs! I agree 100% with Nori's suggestion to get take-out from B&D's BBQ. Sunset from our balcony at Carimar with B&D BBQ is one our favorite meals. Their ribs are excellent! I love reading your reviews. My husband and I are returning to Anguilla next week for our 10 year anniversary. We are again staying at Cap Juluca. We are there 4 nights for dinner. We cannot remember the names of the restaurants we visited 10 years ago. Where do you recommend dining? We are not planning on renting a car, so restaurants close to our resort would be ideal. I look forward to hearing your recommendation. Blanchards (Meads Bay): Run by Bob and Melinda Blanchard, it is one of the most famous restaurants on the island thanks to their book A Trip to the Beach. Melinda is known for taking "classic dishes" and putting her own spin on them, making them truly unique. Everything is delicious, and is served in a charming setting set back from Meads Bay shoreline. Mango's Seaside Grill (Barnes Bay): Right by the ocean's edge, Mango's Seaside Grill combines an atmosphere of upscale elegance and a more relaxed "beach shack." It is a wonderful combination. Our favorite menu items are the Anguillian favorites, like grilled whole snapper and lobster. 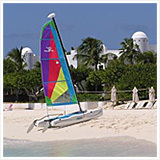 Two of our other "new" favorites close to Cap Juluca? Straw Hat (Meads Bay): Although not a new restaurant, Straw Hat is new to the area near Cap Juluca. The restaurant has been open for several years. You may remember it from when Straw Hat was located on Forest Bay. Today, it graces the shores of Meads Bay. Here, you have a front row seat to the majesty of this beach. As always, the hospitality is warm and welcoming, and the food excellent. 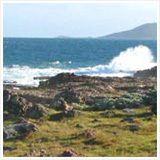 Jacala (Meads Bay): New to the area, Jacala serves the finest French food on the island. If you are looking for exceptional cuisine that surpasses the most mouth-watering meals you may have in St. Martin (the French side), don't miss Jacala. Art Cafe - What Is It? Have you ever heard about Art Cafe in AXA? Nori's Reply: Art Cafe is just how it sounds: half cafe, half art studio! They are located in Island Harbor, showcasing modern art and serving snacks and small meals. I have yet to dine there yet, but they have some beautiful pieces in the gallery. Comments for Art Cafe - What Is It? But the art is delicious! The gallery space in the cafe' is tastefully done to showcase quality original art, and has some fine clothing in another area. The building has been constructed with local limestone which was cut in place. There is a grand piano on the 2nd floor for special events and has a beautiful view of the harbor. If you are an art lover like me, food tastes best when you can see all the beauty surrounding you! It's a 5 star ART cafe'!! don't really recommend it... there are many better Anguilla restaurants!